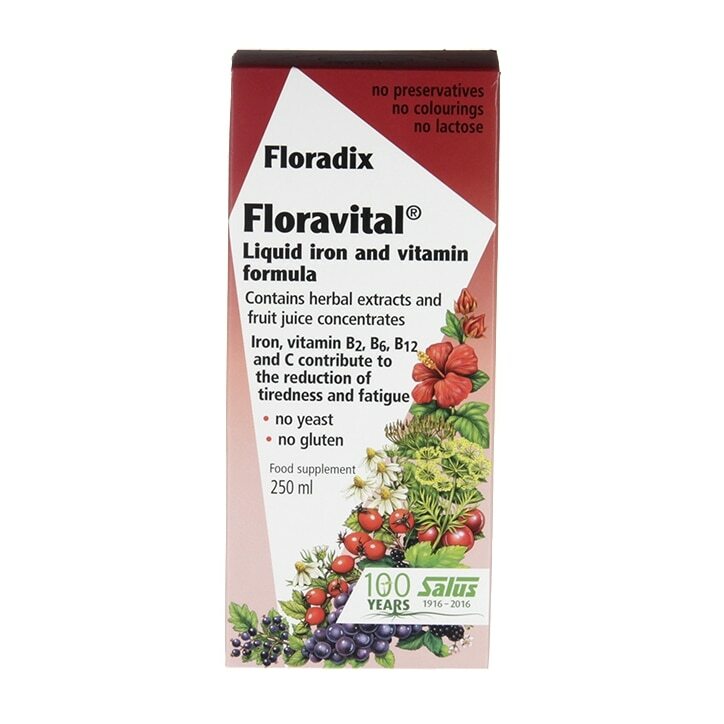 Floravital Herbal Iron and Vitamin Formula is rated 4.5 out of 5 by 47. Rated 4 out of 5 by MimiSeptember from Great product inside. Not happy with cap on bottle Bought in store on friend's recommendation, now had about 3 bottles. Great taste, seems to improve my sustaining energy. But... directions say "Shake bottle before use". Sure, if you don't mind it spilling all over the place from gently shaking, even with cap seemingly shut tight! Such a waste of a good product, and it stains. Rated 5 out of 5 by Tialouisa from Love this product makes me feel a million dollars! I always buy this product it makes me feel amazing! I could barely get through the day without needing to sleep before taking this product now I am always lively and feel great!